Project Goals: Project Goals: 1) Ensure conservation of high Andean wetland habitats to protect Quito’s water supply 2) reduce water usage in Quito by educating 3) understand how global warming is affecting these habitats using wetland birds as indicators. Finding Species aims to reduce the impacts of climate change by decreasing the water consumption of the citizens of Quito, the city with the highest use in South America. The melting of glaciers in the mountains that feed the wetlands and water supplies within four protected areas has increased by 35% in the last 50 years. Given current consumption rates and the loss of glacier supplies, Quito could endure severe water shortages in the near future. Furthermore, the draining of the wetlands would deliver hundreds of gigatons of greenhouse gases into the atmosphere, worsening the effects of climate change. This project used several High Andean bird species as the "face" of an educational campaign within the city, to increase citizen awareness of these problems, to reduce water use, and thereby avoid the draining of the wetlands. Finding Species worked with Park Rangers and the Ministry of the Environment officials to monitor the presence or absence of aquatic bird species, finding effects of climate change and/or the pressure on their habitat caused by the exploitation of the water. 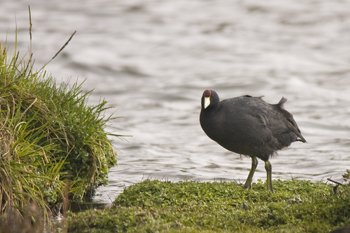 On a monthly basis their populations were verified for the presence and absence of waterfowl. This database helps monitor species numbers and determine migratory species and routes. With the creation of the High Andean Wetland Bird Guide, identification and monitoring techniques, resulting in a map provided by Finding Species to the local government in Quito, recommending a new protected area. Quito accepted the recommendation and it is now know as Cerro Las Puntas.